Carl Hester MBE is delighted to confirm that Uthopia has been secured to stay in his yard with his team. The 15 year old stallion was purchased by an unknown buyer on 27th May at Wilsons Auctions in Northern Ireland following the dispute over the horse’s ownership. Since then, negotiations have taken place and the horse has now been purchased on Carl’s behalf by a supporter who wishes to remain anonymous. Tuesday 21st June 7:30pm, Dennington Village Hall. Advance tickets £7, or £10 on the door . All proceeds shared between Cancer Research UK and the Gambia Horse & Donkey Trust. Founded in 1985 RDA (Hollesley Group) have provided hundreds of adults and children with the opportunity to take part in either horse riding or carriage driving at its homes, originally at Poplar Park in Hollesley and for the last 22 years at Pettistree Hall Farm in Sutton. Now, as the lease on their current premises comes to a close, they desperately need to find a new home. The Group has been hunting for a suitable 15 acre plot to run the operation for the past year. Despite having had some discussions with potential landlords nothing concrete has come forward and time is running out. Hannah Martin de la Torre whose daughter Elise is one of the Group’s regular riders said, “This means so much to Elise and the other riders. Riding is so beneficial not only for Elise’s core strength but has added so much to her confidence”. Timings: 12 noon for the Group photograph. Essex Bridleways Association will be presenting a petition to Essex County Council at County Hall in Chelmsford at 10.30am on Wednesday 8th June 2016. The petition forms part of the charity’s current ‘Better Bridleways’ campaign which aims to raise awareness of the needs of horse riders in the county. EBA Chair, Julia Wilson, explained: “EBA is appealing for greater consideration to be given to horse riders when it comes to creating safe, off-road access. Council and Government policy focuses heavily on walking and cycling and yet horse riding is frequently overlooked. Pedestrians and cyclists can use Bridleways but horses are rarely given access to Multiuser routes. 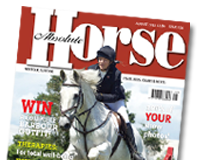 “There is a common misconception amongst other road users that horse owners have miles of Bridleways to ride on but this is not the case and in most parts of Essex we are very poorly catered for. As a consequence of this, and massive development in the county, we are forced to share the roads with increasingly fast and heavy traffic. Members of Essex Bridleways Association will be assembling outside County Hall at 10am ready to present the petition at 10.30 on 8th June and would welcome supporters of their cause. Visit www.essexbridleways.co.uk or the Essex Bridleways Association Facebook page for further information.